Updated: The Federal Communications Commission said it would combine the review of AT&T’s purchase of spectrum from Qualcomm (s qcom) with the agency’s review of Ma Bell’s purchase of T-Mobile. Update: The FCC can however, conclude its reviews independently. The FCC’s decision on Monday night could be seen as the agency’s taking a careful view of consolidating so much spectrum in the hands of one company, which could be a blow for AT&T’s (s t) plans to buy the No. 4 player in the U.S. market. We’ve long said this deal is bad for consumers and bad for innovation, but in the last few weeks a few other reports have come out that indicate our initial reaction might be correct. And perhaps with its decision on Monday, the FCC is really listening. For example, last week the Yankee Group issued a note that said it believed wireless prices would rise by $35 in six major cities if AT&T were to buy T-Mobile. AT&T disputes this. Last month consumers (with the help of an enterprising law firm) filed a suit seeking arbitration to stop the merger. Also in July, Senator Herb Kohl, the Democratic chairman of the Senate Judiciary subcommittee on antitrust matters, came out strongly against the deal, as did several other Democratic senators. However, two powerful Republican senators, including John Cornyn from the state of Texas, where AT&T’s headquarters are based, praised the deal. However, not everyone seems upset. AT&T hired consulting firm M+R to do its own analysis on T-Mobile. 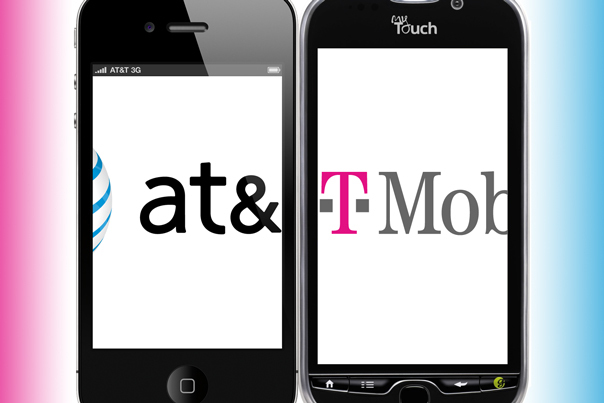 The paper, by M+R economist Allen Rosenfeld, argued that regulators are focusing somewhat on the wrong issue — not what happens if AT&T buys T-Mo but what happens if AT&T doesn’t buy T-Mobile. The paper posits that without AT&T’s big bucks, T-Mobile will fail, leaving consumers with less choice in the market anyhow. It says that many analysts are making a mistake by comparing apples to oranges, with the oranges being the current 2010 pricing environment and the apples being the 2012 post-merger pricing environment if the T-Mobile buy occurs. So instead of comparing today’s real prices, the paper suggests that the economically rational thing to do is compare the imaginary apples of the 2012 time frame if the deal happened versus if the deal did not happen. At the core of the flawed apples-and-oranges comparison is an implicit assumption that, in the absence of the proposed merger, T-Mobile USA’s current pricing structure would continue to be available to consumers. In the most-general sense, that assumption implies a continuation of the status quo for T-Mobile USA for the foreseeable future. More specifically, it assumes that T-Mobile USA’s overall customer strategy, driven by plans priced lower than AT&T’s and Verizon’s, could be sustained for years to come. A close look at the industry and the competitive outlook for T-Mobile USA, however, casts serious doubt upon the validity of the assumption that T-Mobile USA, going it alone in the absence of the merger, would be able to sustain its pricing strategy and that consumers would be better off if the merger were not approved. This perspective may explain why AT&T’s executives on the company’s second quarter results call shared last month that they were confident in the merger going through. But with the latest review by the FCC, it certainly doesn’t look like it can take its $39 billion purchase for granted. The FCC should approve the pending AT&T-Qualcomm spectrum sale now because of the clear benefits to the public from the sale that stand on their own and are totally unrelated to the proposed AT&T-T-Mobile merger. Approval now will foster the public policies that the FCC correctly deems so vital for the American public. Approval now will re-purpose unused 700 MHz unpaired spectrum for mobile broadband, thereby easing America’s spectrum crunch and helping to meet the FCC’s goal of reallocating 300 MHz for mobile broadband over the next five years. Approval now will also allow Qualcomm to invest in a new, spectrally efficient technology (supplemental downlink) and enable the first worldwide deployment to occur in the U.S., thereby fostering U.S. economic growth and job creation and enhancing U.S. global leadership in wireless technology. Sprint is in as much trouble as T-mobile and soon the FCC will let Verizon buy them out, so why not let Att but T-mobile. This happens everyday with other companies and nobody tries to stop them, besides it will improve their network. AT&T has been using their influence as well as their money to keep certain phones out of the hand of other GSM competitors. (T-Mobile). They tried to keep the Iphone out of the hands of Verizon. For many years it actually worked. The only reason Verizon has it now, They were deemed a NON-competitor, (They use CDMA technology). It was the Iphone that put AT&T in the position they are in now, If APPLE would stop giving in to Corporate corruption, and start releasing their products to more companies. It would greatly increase Apples revenue, as well as give consumers more options. It would also help T-mobile be able to expand and Keep more market shares. Oh wait, If T-mobile would expand and get more market shares. AT&T would have a major competitor and the value per share would go up.. They don’t want ANY company taking market shares or becoming a major player in the GSM cell phone world.. APPLE?? why don’t you help us all out, Release the Iphone to T-mobile. The Federal Communications Commission informed AT&T late Monday afternoon that it would combine its reviews of the proposed T-Mobile buyout along with their purchase of the 700MHz wireless spectrum currently held by Qualcomm. In a letter issued by the Wireless Telecommunications Bureau the FCC concluded that enough evidence was presented that the ramifications of both deals are related and that they should be considered at the same time. Money can buy anything (including senators), this is capitalism at its finest. Sad but true. As far as I knew even if the deal is not approved T-Mobile USA gets a very large chunk of cash (8 Billion) I believe it was! It’s incomprehensible to me they are returning to this canard of “if we don’t buy poor T-Mobile it will go away.” First of all, other comments already correctly note that T-Mobile gets bought even if it goes bankrupt. Let’s stop pretending we know how that is going to play out because no one is that good at seeing the future — least of all AT&T (America will never have more than 500,000 mobile subscribers so we’ll divest of the cellular licenses). Second of all, it’s pretty amazing what companies do when stupid mergers like this get rejected. Dish and DirecTV tried to merge because they were going to be unable to offer HD and especially never able to offer HD locals. The government reject their specious worries about some future that hadn’t really arrived and, behold, Dish and DirecTV offer plenty of HD and HD locals. DirecTV in particular has like 80-90% of the population covered in that regard. How did they pull this off? They innovated in the “unusable” Ka band to compete. Would they have innovated as much had they been allowed to merge? Would the combined company have as much market share as the total of the two does today? Would consumer choice be as strong? We know the answers. There’s a funny thing about the “they will go bankrupt” argument which is that there is only response from regulators: “Let them”. First of all, it proves whether the claim was true and it typically isn’t. Second of all, it causes the acquiree to go down fighting — and T-Mobile sure seems like a fighter to me. Third of all, it will let a true market set a price for these assets and perhaps let something new come along that no one could have foreseen. I have friends in high places backing this merger and for the life of me, I can’t imagine why they are. There is simply no chance this will foster innovation or improve the speed with which broadband is deployed. It’s an attempt to gain control of a scarce resource and remove competition from the marketplace. This should’ve been rejected without a serious investigation. Sadly, it’s going to end up getting approved. I don’t know if it will get approval Mark as far as it goes. It may or may not and if it does it will be because At&t paid off the right people, and paid each of them enough money. The reality of the whole thing is that At&t is trying to buy back it’s monopoly, just in a different sector of the communications market which they still own a very large percentage of. The arguments made by Sprint on the issue of At&t and Verizon owning most of the back haul which is necessary for wireless broadband wherever it is available is very valid. The thing which really gets me is America is supposed to be the largest free capitalist market and economy on the face of the planet, and individuals particularly in America believe this to be true, when in all actuality it is becoming if it is not already not decided by competition, but by whoever has the pockets deep enough to pay the government for there own monopoly. It is basically only legal in America to hold a monopoly if you buy said monopoly from the government first, and pay single payments when ever it comes up for a vote, and or a particular politician feels like you should pay him some more individually. Jf- AT&T is a GSM network. Get your crap straight. The key issues is spectrum and consumer choice. If the Merger goes through then AT&T will hold all of the CDMA spectrum. For consumers that only have access to the CDMA towers they will be forced to AT&T. This makes AT&T a monopoly on the CDMA side. Now down the road Sprint gets into trouble and guess who will be there to swallow them? Now we are back to the old telecom days and AT&T is an monopoly. By the way AT&T is really Southwest Bell, when they went on a buying spree a decade ago and purchased most of the “bells” of the west they needed to some how disguise they’re monopoly and sucked up AT&T Wireless. This gave them the rights to the AT&T name and got the FTC off they’re backs and makes them sound like something are absolutely not. They are still Texans and Southwest Bell with the same major share holders. FUD. If T-mobile fails then its spectrum will surely be available for purchase at a reasonable price – maybe less than the buyout is worth. Nope, I’m pretty sure the buyout is a power play by AT&T. M + R is right. There won’t be many small carriers in the future. That’s just the new reality. A lot of the AT&T hate is coming from bloggers in SF and NY, which I can understand, but AT&T has a lot of satisfied customers elsewhere. If the deal doesn’t go through, DT gets $3 billion in cash and $3 billion in spectrum and roaming credits from ATT. IF they spend even half that on T-Mo, T-Mo will be much stronger. Also, they will stop losing customers that do not want to be an ATT subscriber. If the deal is blocked, T-Mo is not going to go out of business. The more likely outcome is DT spins them off or sells them, in which case they get new owners who pay more attention to them and do a better job of improving the business. I don’t buy it. I think even if T-mobile were to die, it would still be a better alternative than AT&T gobbling it up. In the former scenario, there would probably be another company to take T-mobile’s place. In the latter, AT&T becomes even more powerful and will make it harder for other smaller carriers to rise up. Also, I wonder what would happen if T-Mobile got an official iPhone that works with T-Mobile’s ‘4G’ network. Would people still think T-Mobile will die? Hardly. Au contraire, plenty of people will move from AT&T to T-Mobile. Seen in this light, keeping the iPhone off T-Mobile should be considered an anti-competitive behavior by AT&T (assuming AT&T has some part to play in T-Mobile not getting the iPhone).